The DCC has appointed the University of Otago’s director of financial services, a former Allied Press accountant, as its chief financial officer. Grant McKenzie has been chosen for the newly created role, with responsibility for the management of the council’s group finances. A graduate of the University of Otago, McKenzie has a Bachelor of Commerce, majoring in accounting, is a chartered accountant, and a member of the Institute of Directors. His role will include the provision of financial advice and support to the board of Dunedin City Holdings Limited, which looks after the council’s group of companies. This item was published on 14 Oct 2013. The University of Otago’s Director of Financial Services, Grant McKenzie, has been appointed as the Dunedin City Council’s Group Chief Financial Officer (GCFO). Mr McKenzie is a graduate of the University. He has a Bachelor of Commerce, majoring in accounting, and is a Chartered Accountant. He is also a member of the Institute of Directors. For the past eight and a half years, Mr McKenzie has been the University’s Director of Financial Services. In this role he has been responsible for the overall accounting function for the University and the wider University group. Mr McKenzie is a director for several subsidiary companies within the University group, including the University of Otago Foundation Studies Limited, Unipol Recreation Limited and University Union Limited. He is also an elected trustee of the New Zealand University Superannuation Scheme. Before working at the University, Mr McKenzie was the Group Accountant at Allied Press Limited. 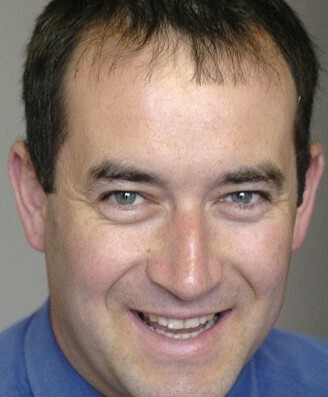 He has also worked for Dunedin business advisory firm Taylor McLachlan. The new position of Group Chief Financial Officer replaces the DCC’s Chief Financial Officer (currently a vacant post),with the role expanded to include the provision of financial advice and support to the Board of Dunedin City Holdings Limited (DCHL). The role will also create more cohesive financial management between the DCC and Dunedin City Holdings Limited. Twenty eight applications were received for the position, from New Zealand and overseas. The current position of Chief Executive of DCHL will be disestablished when Mr McKenzie takes up his GCFO role in late January. Mr Crombie says the significant contribution of DCHL Chief Executive Bevan Dodds will be recognised and an appropriate handover arranged. Contact Chief Executive, Dunedin City Council on 477 4000. 15.3.13 DCC: Stephens gone. It took way too long. This is AWESOME!!! Somehow they have managed to create another high level, high paying management job. Good on ya dcc, pleased to see you taking one for the boys. Everyone keeps saying that dcc should be spending less, but what would they know….